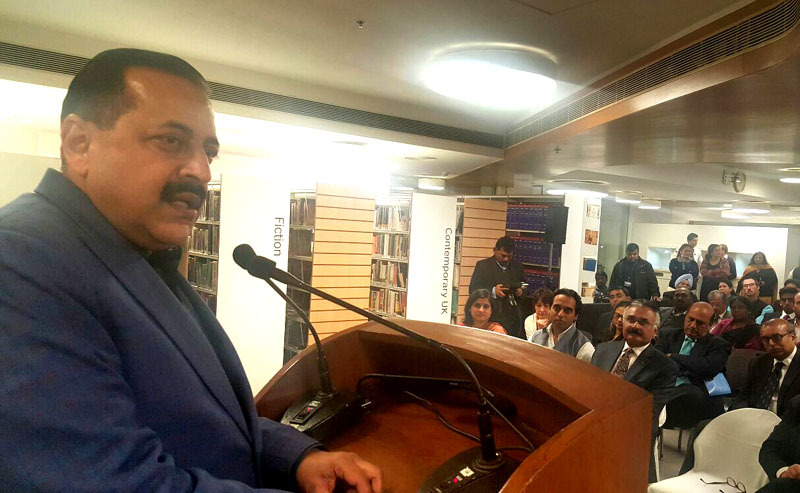 The Union Minister of State (Independent Charge) for Development of North Eastern Region (DoNER), MoS PMO, Personnel, Public Grievances, Pensions, Atomic Energy and Space, Dr Jitendra Singh inaugurated the formal India launching of “School for Social Entrepreneurs” (SSE) here today. In his inaugural address, Union Minister of State (Independent Charge) for Development of North Eastern Region (DoNER), MoS PMO, Personnel, Public Grievances, Pensions, Atomic Energy and Space, Dr Jitendra Singh stressed that “Startups” with social entrepreneurship have a wider impact and that ideally, social enterprises cannot be excluded from the startup ecosystem. Referring to the “Startup India, Standup India” plan announced by Prime Minister Shri Narendra Modi on 16th of last month, Dr Jitendra Singh said, a meaningful startup initiative should prove fruitful not only for its initiators, but should also be socially rewarding. He said, social enterprises in India are already engaged in following the complex social problems in diverse areas including health, education, energy, water and sanitation, agriculture, etc. and the new startup initiatives can further supplement this process. Hailing some of the incredible provisions in Prime Minister’s “Startup India” declaration, Dr Jitendra Singh, in particular, referred to the provision of three months’ exit period during which a youngster will have the opportunity to decide whether to go ahead or to switch-over to some other alternative option without much liability. This, he said, will not only increase the risk taking capacity of the startup initiative, but will also give the youth the confidence to persist with his initiatives without giving up. In the context of Northeast, Dr Jitendra Singh disclosed that the Ministry of DoNER is contemplating the creation of a “Venture Fund” for startups as an added incentive for the youth to launch themselves in the North-Eastern States. This will particularly have a long term beneficial effect socially, economically and from point of view of employability, because in the years to come, the opportunities of “organic farming” and “organic startups” are going to be available in the Northeast, more than any other part of the country, he added. (i) Sh. Anil Kumar Agarwal, IAS (WB:1981), Secretary, Ministry of Overseas Indian Affairs as Secretary, National Commission for Scheduled Tribes (NCST) vice Dr. Shyam S.Agarwal, IAS (RJ:1980) who is holding additional charge of the post. (ii) Shri Parameswaran Iyar, IAS (Voluntary Retired (UP:1981) as Secretary, Ministry of Drinking Water and Sanitation on contract basis for a period two years from the date of assumption of charge of the post or till further orders, whichever is earlier. (iii) Dr.Anand Kumar, IPS(MP:81) as Special Director in Intelligence Bureau. (iv) Shri Kamal Chowdhery, IDAS (1991) to the post of Managing Director (JS level), National Co-operative Consumer’s Federation of India Limited (NCCF) under the Department of Consumer Affairs for a period of five years from the date of assumption of charge of the post or until further orders, whichever is earlier vice Shri P.K.Singh, IAS(MT:93). (v) Shri A.K.Poddar, IPoS(1987),Chief Vigilance Officer (CVO) in CONCOR New Delhi under the Ministry of Railways for a period of two years beyond 23.05.2016 i.e. upto 23.05.2018 or until further orders, whichever is earlier.